We have been fortunate to have powered and continue to power a growing number of Pre-save to Spotify Campaigns for client Sony Music Entertainment. 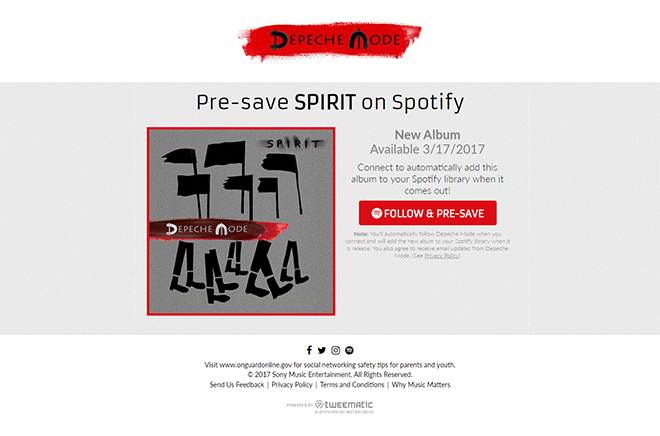 This recent campaign for Columbia Records artists Depeche Mode was unique in that rather than have fans create their own playlists (this is a common practice with many of our pre-save campaigns), fans connecting with this particular campaign got to follow the band’s official playlist which was used to deliver the instant grat tracks and eventually the full album. The value of this approach is that it allows artists to continue growing (and using) their official playlists which is of huge strategic long term value, vs encouraging users to create their custom playlist (purely as containers) which is not as valuable an exercise. 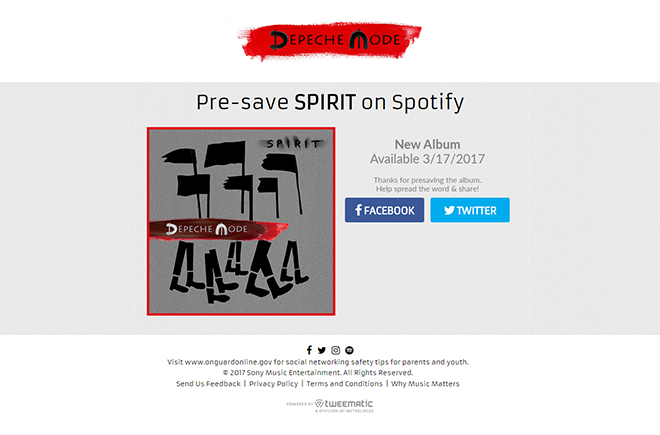 Once fans connected on Spotify they were encouraged to share the Presave campaign with friends on social media. 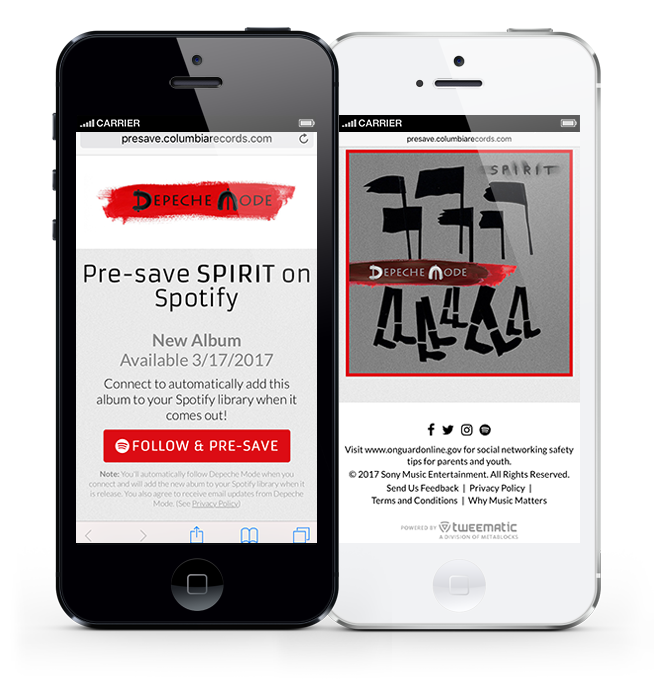 This is what the Depeche Mode Presave to Spotify campaign looked like on a mobile device.